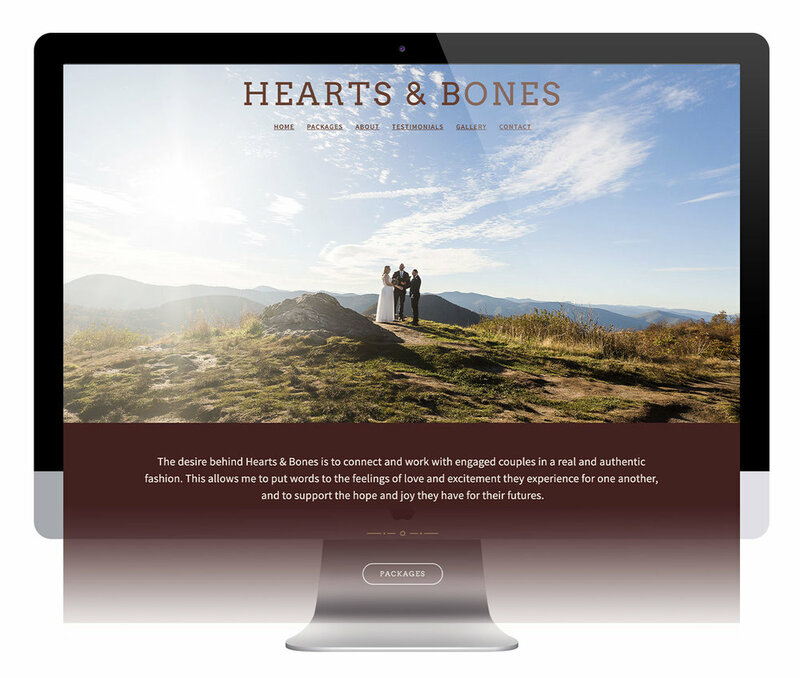 Michael DeSerio, the wedding officiant behind Hearts & Bones in Asheville, NC, wanted his website to feel warm and comforting to convey his value of connecting with couples. Michael has a very down-to-earth personality, and he appreciates the relationships formed with couples as he works to make sure their ceremonies are long-lasting, memorable experiences. For the website design, I focused on tones and textures from nature to match his beautiful Blue-Ridge-Mountain-based photographs, and simplicity in the navigation & layout to provide clarity in the content.